Argentina is known the world over for the quality of its steaks, and having spent four months studying Spanish there when I was fresh out of law school, I can attest that Argentinians are obsessed with meat. Their steaks weigh over two pounds each, and grown men are ridiculed if they so much as think about ordering the 'chica' version (still close to a pound of meat). But if there's one thing Argentinians obsess about even more than meat, it's dulce de leche. This confection, not unlike the French confiture de lait, finds its way into medialunas (the Argentinians' answer to French croissants), into numerous ice cream flavors, onto all dessert menus, and into my favorite Argentinian cookies: alfajores. More: Making your own dulce de leche at home takes only milk, sugar, and a little time. 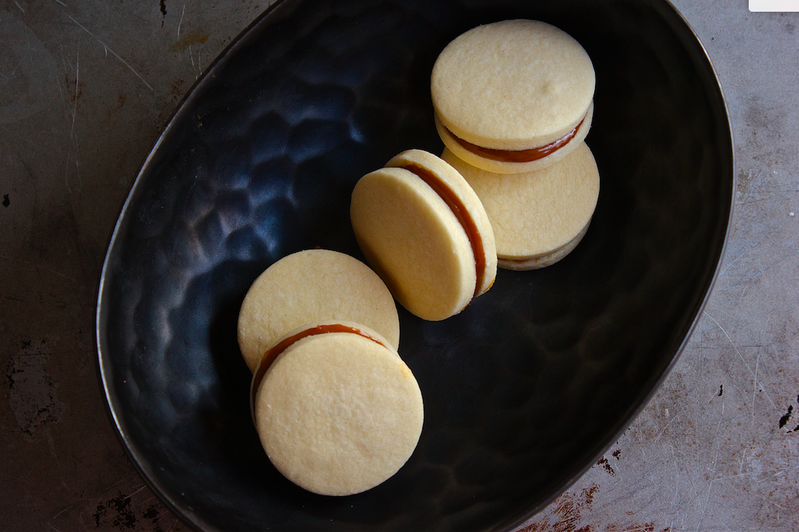 At their most basic, Argentinean alfajores are nothing more than cookies made from two flat disks of melt-in-your-mouth rich and buttery shortbread that are sandwiched together with a dollop of dulce de leche. Sometimes they are also rolled in coconut or dipped in white or dark chocolate. 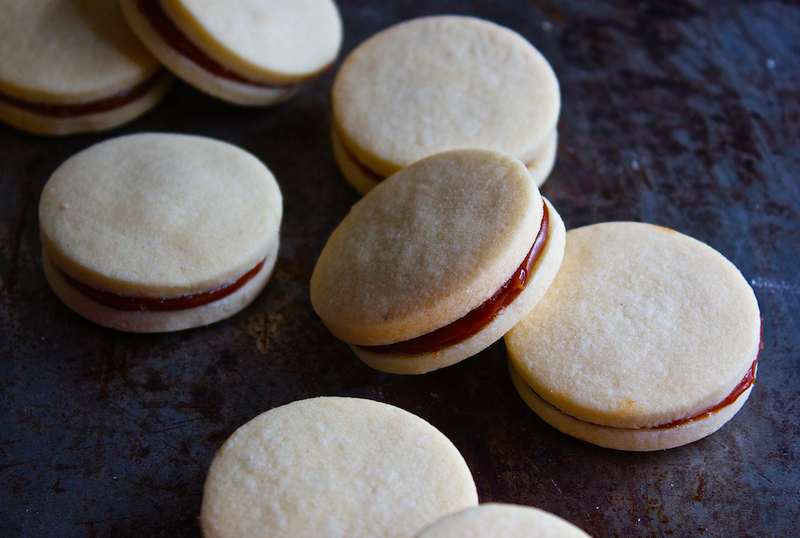 However they are served, alfajores are the perfect sweet antidote to the rather strong and dark coffee young Argentineans drink all day long as an attempt to keep their eyes open at work despite a social life that does not seem to provide for much shut-eye. More: Do like the Argentineans do, and brew better coffee. Sadly, alfajores have not yet made the jump across the continents and into European or American grocery stores. But instead of waiting for airfares to Argentina to miraculously drop, the quickest and easiest way to enjoy alfajores is to make a batch at home. Here's how you can do it. 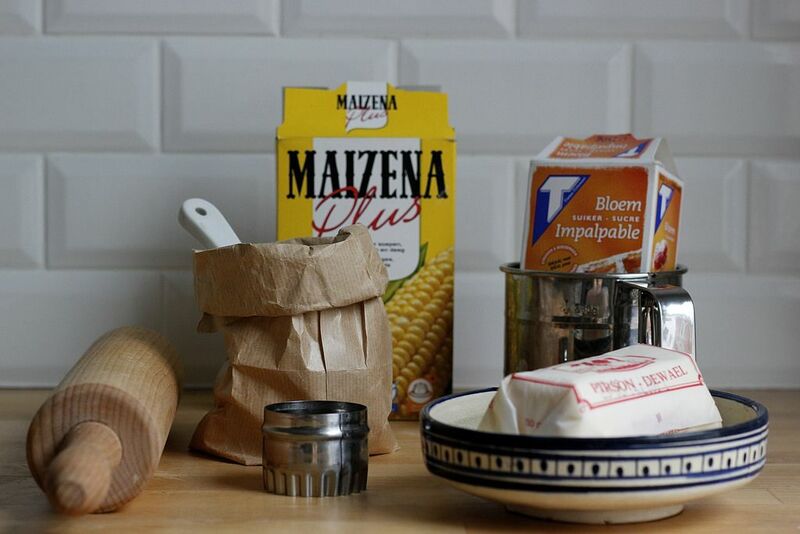 Briefly knead the dough to ensure that all of the ingredients are well mixed. Wrap the dough in plastic wrap, flatten it into a disk, and place it in the fridge for 30 minutes to firm up. Preheat the oven to 350° F (175° C) and line a sheet pan with parchment paper. 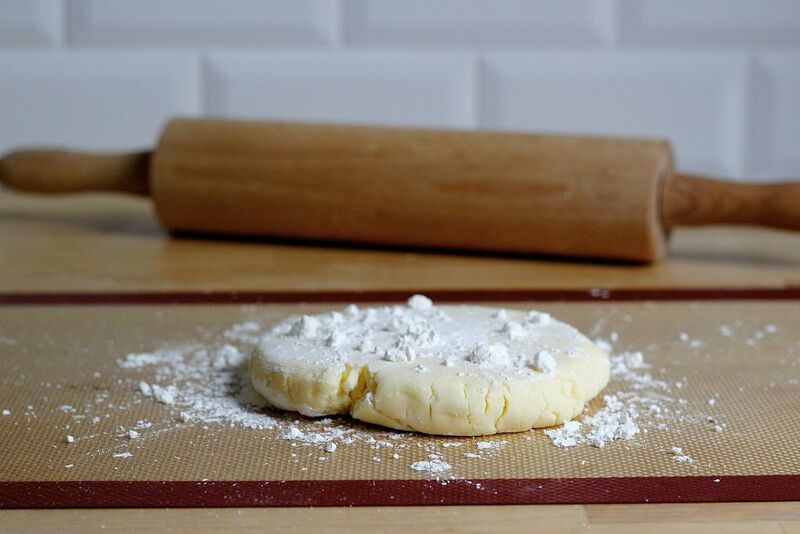 Place the disk of dough on a floured surface, dust it with some extra flour, then carefully roll the dough out to a thickness of no more than 5 millimeters (less than 1/4 inch). 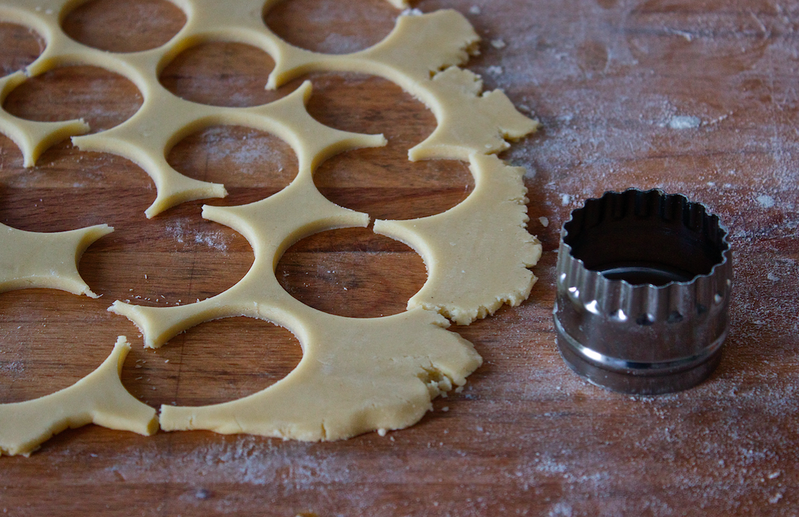 Using a 5 centimeter (2 inch) round cookie cutter, cut out 24 cookies (you will have to re-roll the dough a couple of times to do this), and place the dough circles on the prepared sheet pan, leaving about 1 centimeter (about 1/2 inch) of space between the cookies. Bake them for 12 minutes, or until they’re just starting to color around the edges. Leave the cookies to cool. 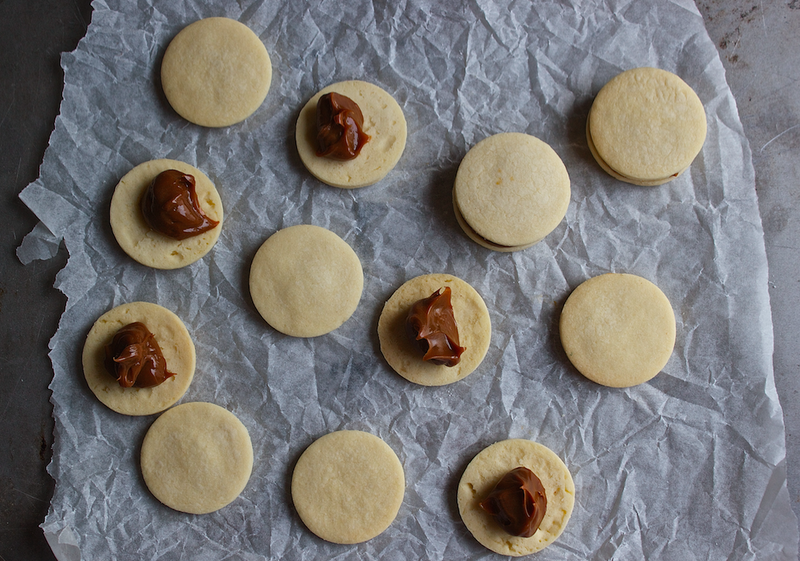 Once they’re at room temperature, top half of the cookies with dulce de leche, using about 1 teaspoon on each one. Then sandwich those cookies with the plain ones. 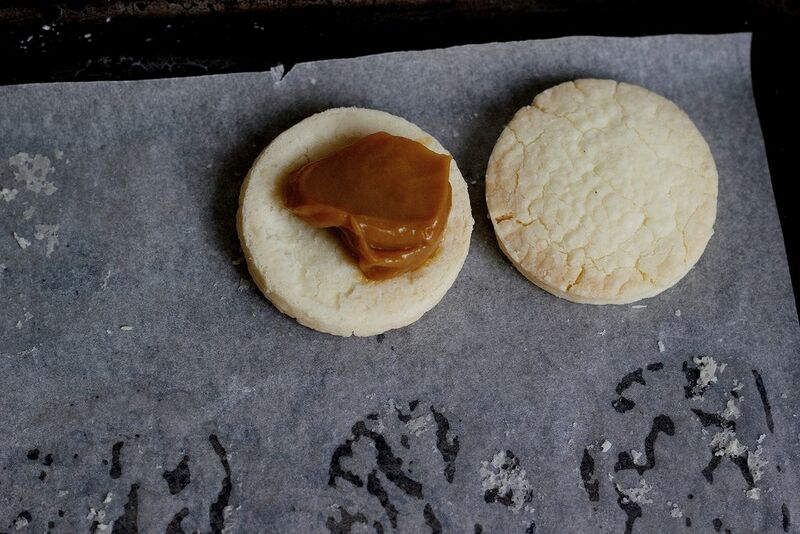 As you press the cookies together, carefully rotate the two cookies in opposite directions, which will help spread the dulce de leche all the way to the edge of the cookies. Hi, my name is Sophia and I have a passion (ok, maybe it is veering towards an obsession) for food and all things food-related: I read cookbooks for entertainment and sightseeing for me invariably includes walking up and down foreign supermarket aisles. I love to cook and bake but definitely play around more with sweet ingredients. Current obsessions include all things fennel (I hope there is no cure), substituting butter in recipes with browned butter, baking with olive oil, toasted rice ice cream, seeing whether there is anything that could be ruined by adding a few flakes of sea salt and, most recently, trying to bridge the gap between German, English and Italian Christmas baking – would it be wrong to make a minced meat filled Crostata? Just got back from Argentina and Uruguay and these are EXCELLENT and definitely hit the I-Miss-Traveling sweet spot. Thanks for a great recipe! As an American cook and baker, educated here..and fairly intelligent..can you explain why the ingredients are listen metric measurements without the American equivalents? There is little enough time in our busy lives to bake and to relax and enjoy our products..but to have to go to a metric vs Western translation chart first? I think not.. I grew up and am based in Europe so have always baked using the metric system - it is easy to use and more precise than measuring ingredients by volume. Plus, reliable small digital scales are very cheap these days. I understand the frustration if a recipe does not come in your preferred type of measurement (I get that too when I see recipes that only provide cup measurements), but hopefully soon everyone will convert to the metric system and then no one will need to convert ingredient quantities anymore. These look wonderful! In the Bay Area in CA, Whole Foods Market Carries Alfajores - they're delicious. Fantastic - glad to hear you like the recipe Anita! In one of my recent trips to Chile I discovered a shop that sold alfajores of an amazing variate of flavors. Some had fig with citrus filling others an almond paste. Still others dipped in chocolate. The choices were mind boggeling. Sadly when I went back last year the chain of shoppes that sold them had closed. A tear came to my eye. Here in Argentina we have dozens of different flavors. Can't decide which is my favorite though!! The filling can be whatever you can think of --chocolate, fruit, cream... Come and visit!! Very accurate Sophia, great recipe! 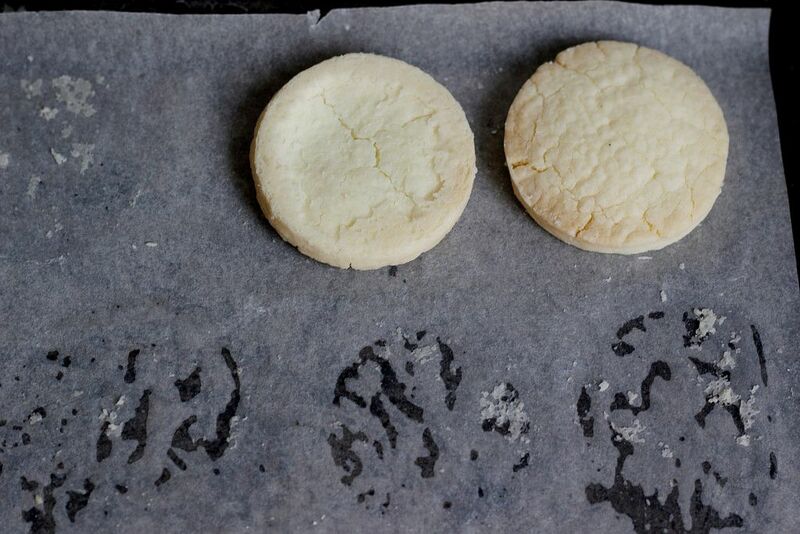 Try rolling the sides of the alfajores on some shredded coconut (as we do in Argentina when we have homemade "alfajores de maizena" ) you´ll find it delicious! How can something so wrong, turn out to be so right? This seems similar to Russian Teacakes (aka Medical Wedding Cookies) that my mother makes, minus the nuts. Oh, do I ever love Alfajores. They are my alpha-cookie. Yay Sophia!! These look so good! I don't think I've ever had an alfajore but "shortbread" and "dulce de leche" in the same sentence makes me think I'd be a huge fan. I need to make these soon!